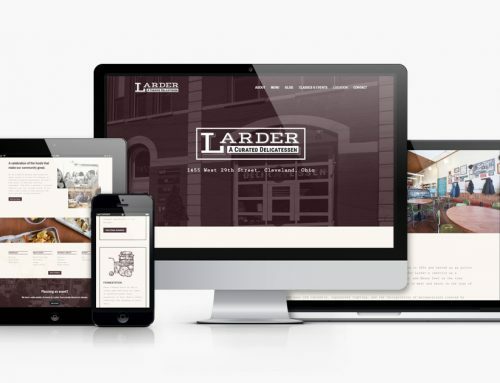 Website design for architectural millwork company. 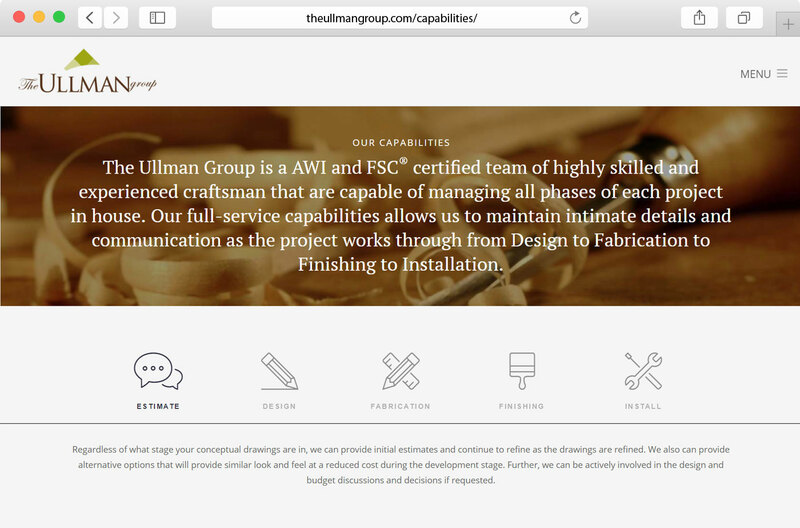 The Ullman Group wanted a new website to build an online marketing presence for their Commercial Division that operates around their Mill Shop. 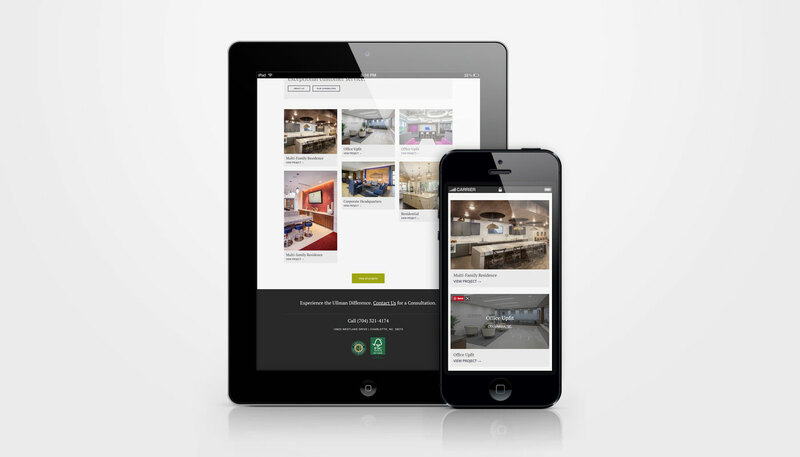 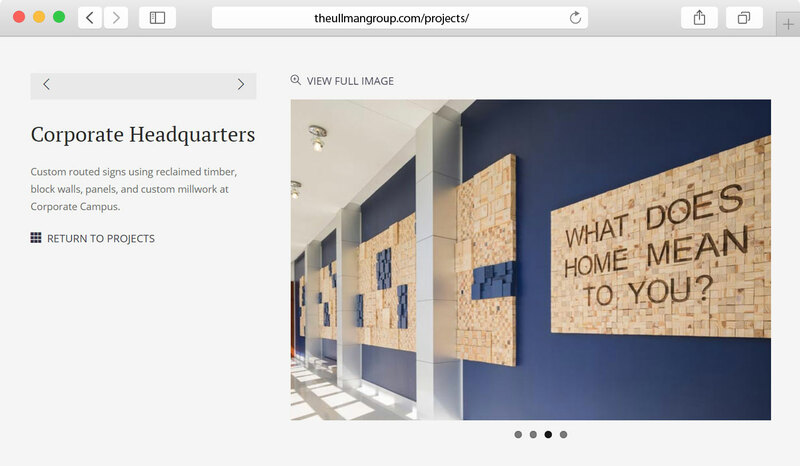 The company’s main business objectives were to establish a professional image through the website’s design, answer visitor’s questions about their services, and validate their credentials by conveying that the Ullman Group is reliable, capable, financially strong, and good project managers. 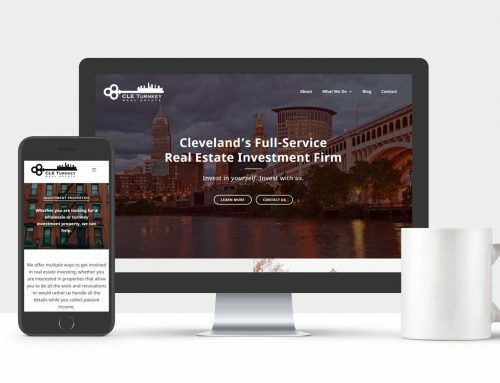 Ultimately, the website was to be a powerful marketing tool and useful resource for existing clients and potential new clients. 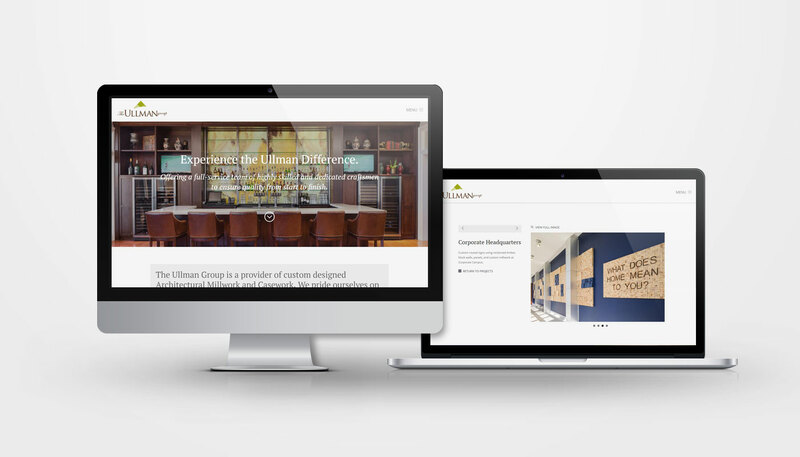 I developed a new responsive website using WordPress as a content management system. 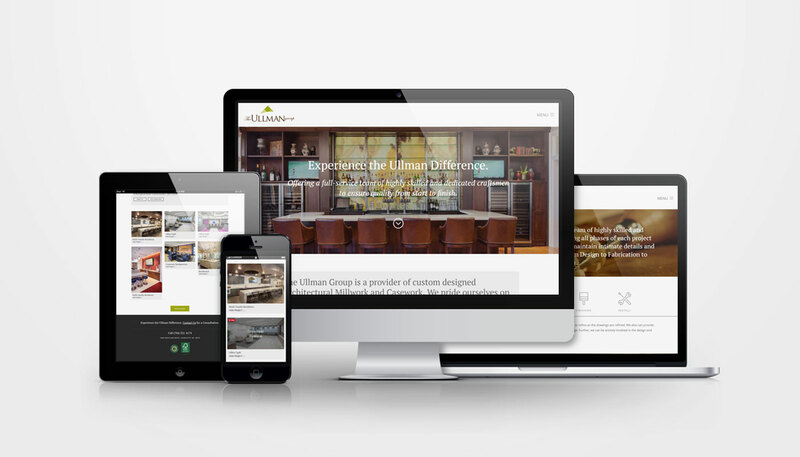 The website was designed to provide a user-friendly experience to allow visitors to easily navigate the website and find relevant information, answer common questions searched for by potential new or existing clients, prominently display calls to action that will encourage potential clients to call or email for a consultation, and validate the credentials of the Mill Shop by displaying testimonials, current and past projects with image galleries organized by industry, team member bios, or informative content relating to the different services provided.